Since our News Digest videos come out weekly on Sundays, this is when this campaign will take place as well. We hope you will find this campaign interesting and fun to participate in! Enjoy! Please note that one person can only participate once in this campaign and we do not allow multiple submissions/accounts. Thank you to everyone who has participated in this campaign! 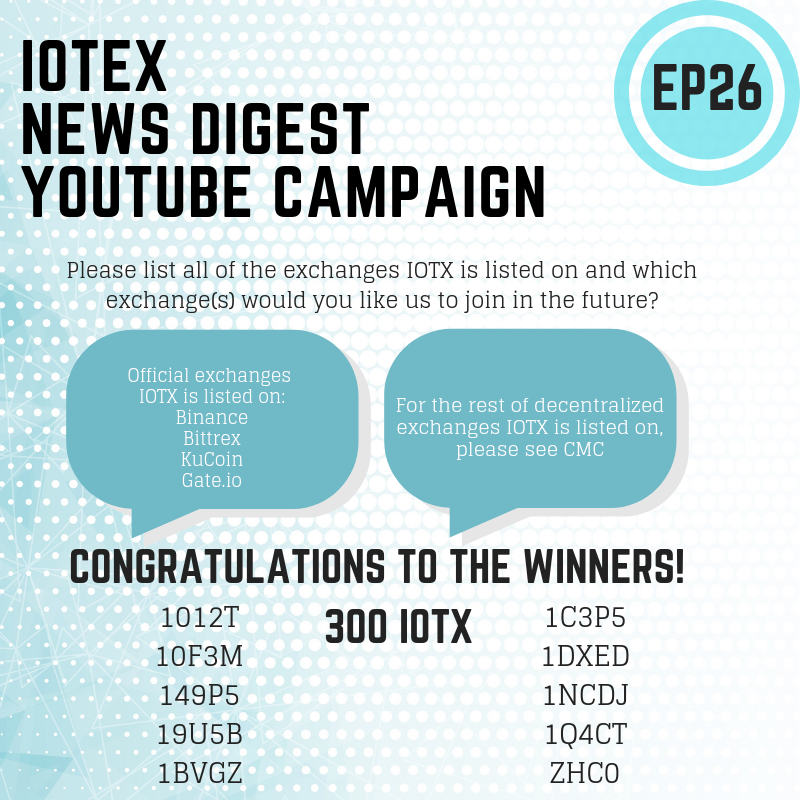 Below you will find the answer and the winning IoTeX Hash ID’s.